In May 2016, the Thompson Association of Retired Educators (TARE) put on a Gardening Workshop for kids. The kids paid $10 each and they got to hear a story about seeds ("What Kinds of Seeds are These?" by Heidi Roemer) and they each got to plant some Marigold seeds and transplant a Coleus that one of the teachers had brought in from her garden. 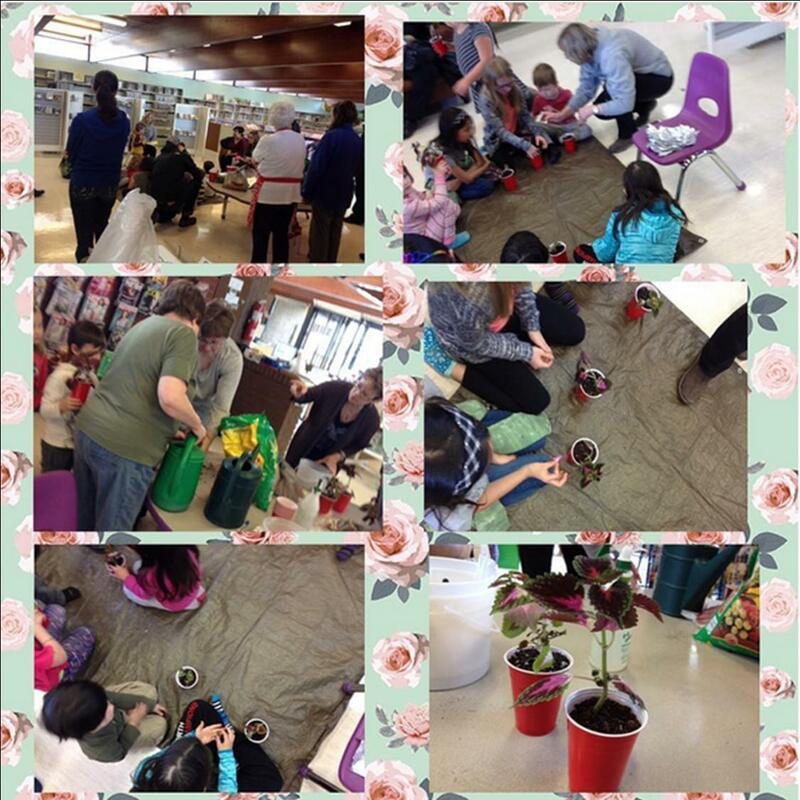 Excess funds from the registration went towards plants that are planted outside of the Library. To introduce kids to gardening from the organization that takes care of the flowers and vegetables at the Library. Participants asked if it would be a regularly occurring program - we will revisit in 2017! The kids loved the hands on activity and the parents loved that they got to take something home with them. Nothing! It went exactly (or even better) than we had hoped.